Who invented Rock-and-Roll? Who should be credited as the inventor of the video game? Who’s responsible for the Zoidberg meme? Who is responsible for the way we celebrate Halloween? There’s plenty of our culture that we just accept without being able to credit the inventor, however, this Fame Day we’ll be shining the spotlight on someone we can. The one and only George Romero, whose influence on our culture arguable is on par with Rock-and-Roll. Romero, for those few of you who might not recognize the name, is the creator of such films as Night of the Living Dead, Dawn of the Dead, and Day of the Dead, and according to many the father of all zombies. Now while that affectionate title has been attached to him, the fact of the matter is, Romero did not invent the concept of the living dead. What he did do, however, was bring the concept out of obscurity, and do it so well that his work has become the basis for all subsequent zombie-horror. Zombieland, The Walking Dead, Shaun of the Dead, Resident Evil, Left for Dead, World War Z, Plants Vs. Zombies, Stephen King’s Cell, “Thriller,” I am Legend, you name it. There’s hardly an aspect of our culture that hasn’t had some zombie influence or spin-off (even before our recent craze), and there’s hardly an aspect of the zombie mythos that hasn’t been cemented and popularized by Romero. The man has simply hit it out of the park. Now I’m not saying you have to like zombies- you don’t. 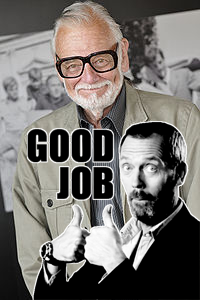 I’m not saying that you have to like the films of George Romero- I don’t. But you have got to respect a man who has had such a profound influence on not only American, but world culture over the past half century (that’s right, half-century). So, George Romero, in this last minute before midnight on Halloween 2012, we here at Culture War Reporters are tipping our hats to you. EVAN: That I switch sides for this conversation, and speak out against it. GORDON: Intriguing. Mind starting us off with the first salvo? EVAN: Statement: Racially accurate casting is not important. The most talented actor should be the one who gets the role. GORDON: Doesn’t appearance play a key role in what makes an actor good? 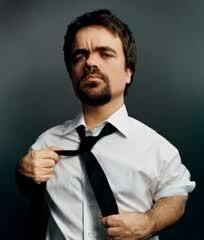 Peter Dinklage is good, but you wouldn’t really find him believable playing Abraham Lincoln or Kareem Abdul Jabbar. 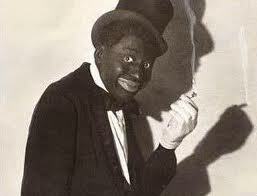 EVAN: In this case his stature, not his race, is what would keep him from playing either role in a convincing manner. GORDON: But isn’t that essentially the same issue? Imagine the great Denzel Washington playing Lincoln- you’d be sitting there the entire time, no matter how much of a powerhouse Washington would be, taken out of the film because you have to deal with a black guy playing a white guy during the height of the civil war. In any piece of film where you’re expecting realism, you’re going to expect the actors to conform to the styles and facts of the time. If you portray Georgia in the 1960s, you’re obviously not going to have a largely black cast portraying the upper class or if you were to set the scene in early 1900s Ghana you wouldn’t have a cast comprised of Caucasians. It wouldn’t make sense, no matter how good they are. EVAN: If anything, Cloud Atlas at least proves that a talented actor can portray whoever they like, given an adequate amount of makeup. Halle Berry plays a Korean Man in the film, and does so in a convincing fashion that doesn’t at all take viewers out of the film in the least. GORDON: I haven’t seen that film, so I can’t speak to the use of the actors for the parts they play. From my understanding that was a work of fantasy (or science fiction, I’m only going off what I can gather from the trailers). And in one or two movies, it’s probably not a big deal. After all, Cate Blanchett played Bob Dylan. But imagine this applied to each and every movie, it simply wouldn’t work. Realism would deteriorate- and this would be especially detrimental in a film trying to deal directly with race relations. EVAN: I personally feel that allowing any race to play any other speaks much more in terms of race relations. That’s a world where colour is a non-issue because it shouldn’t be. EVAN: I’m dying, Gordon. My life force is seeping out of me. GORDON: And while it’s true that race ought to be a non-issue, that’s simply not how things are or have been in the past. Using black actors to play black characters and white actors to play white characters is fundamental to demonstrating past inequity and injustice with American racism and segregation. And that’s just one element. Let’s talk about Indians playing Arabs. It happened in Lost and it happened in Community (with multiple actors), but Arabs look nothing like Indians. Indian actors are used simply because they fit the stereotype of what most people think an Arab looks like. It perpetuates an inaccuracy. EVAN: Isn’t the fact that the role is an Arab important a large enough step? This is a minority with a major role on a TV show, and an opportunity for minority actors to step up, which they have in both cases. GORDON: Barring Monk and Arrested Development, when’s the last time you saw an Arab actor? I’m not trying to argue against Indian actors, or actors of Indian heritage getting roles, but for the purpose of portraying the world as it is (or at least with some realism) we should have actors with some vague resemblance to the people they’re portraying on film. After all, would you not be thrown off by guys with German accents playing French resistance fighters during WWII? EVAN: If they had German accents then they simply wouldn’t be right for the role, which brings me back to my first point. GORDON: Which, by proxy, brings us back to my first response. Ethnicity (depending on the situation) is just as valid an element of a guy’s candidacy for a role dealing directly with ethnicity as accents, or height, or any other factor (actual talent, of course, being the most important). Vincent Cassel should probably not play Malcolm X. Adrien Brody should probably not play the Queen of England, though that would be pretty funny. Likewise a Korean can to play a Chinese person can play a Japanese person. Audiences can’t tell the difference and believe that they are whatever the role is, and that’s okay. GORDON: But Koreans do not look Chinese, Chinese people don’t look Japanese, and Arabs and Indians certainly don’t look like each other. The only reason this happens is because most people either don’t know (partly due to this inaccurate casting) or don’t care (in other words, all non-whites are basically one homogenous mass. If all your life, you had seen black men and been told “these are Uzbekistanis,” then you’d go your whole life simply assuming that Uzbekistanis are, in fact, indiscernible from guys from Benin. Your ignorance should not dictate which actors get which parts. Further, no Uzbekistan could really ever get a chance to play and Uzbekistani because of the years of misinformation. EVAN: But there is a huge difference between a black person and an Uzbekistani. The examples I made have similarities that the example you used clearly does not. To be such a stickler for accuracy is the other extreme, and just as wrong. You wouldn’t get someone with mental problems to accurately portray a character with mental problems, that just doesn’t make sense. Race should matter if it is noticeable, and like I said in the case of shows like Lost it is not. EVAN: The logic above was used against me by someone in a thread on Reddit You can check out our exchange here. GORDON: Granted, my example was extreme, but that doesn’t change the point. Even though a Thai guy and a Japanese guy share more similarities than a Beninese guy and an Uzbekistani guy, there are still distinct differences between people from Thailand and people from Japan. With regards to being a stickler- I admit, as I have previously, that you don’t have to have an exact replica of the character you’re trying to portray. Jet Li, I imagine, is doing pretty well for himself, and I still wouldn’t doubt his ability to portray a poor man very well. However, while you don’t need to be point for point, you do need to have some general similarity. That’s why we don’t have Emma Stone portraying Fidel Castro. EVAN: I feel like the extremeness of your examples is damaging your point. If we’re sticking with race we should do that, and not bring in gender. GORDON: It’s to demonstrate the underlying point in all of this: Verisimilitude. Realism. Accuracy. EVAN: And since you said “you don’t have to have an exact replica of the character you’re trying to portray” why isn’t it okay to have Naveen Andrews play Sayid Jarrah on Lost? GORDON: But the distinction is great enough. The accent is Indian, not Iraqi. 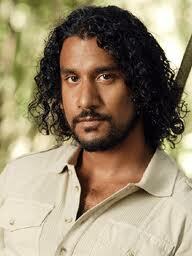 Naveen does not look Iraqi. When an actor neither looks nor sounds like the character he is meant to portray, we have a problem. EVAN: So if Jarrah had managed to sound Iraqi, would that have helped? GORDON: It would’ve added to the realism and accuracy, yes. But that doesn’t change the fact that he’s very clearly Indian, not Arab. EVAN: Clear to a very select few. As mentioned, people didn’t seem to notice for the most part. GORDON: Clear to a very select few. As mentioned, people didn’t seem to notice for the most part. Most people don’t know what an Arab looks like. Do they know that Monk is Lebanese? That Cousin Maeby is Iraqi? Most do not. Ignorance is not an excuse for inaccurate casting. EVAN: And that brings our exhausting exchange to an end. Trying to argue for something I so strongly disagree was one of the more difficult things I’ve ever done. I hope that in reading this you were able to see the holes in my argument and the truth in Gordon’s. The past few paragraphs alone have had the same effect on Evan as that life-sucking device in the Princess Bride. Commend him for biting the bullet. And as for our discussion next time, your options are: What do we make of the upcoming Star Wars sequel? EVAN: And. . . how about . . . How much artistic merit is there in a show like Adventure Time? And to our beloved and devoted followers (who would organize into a vicious and unholy army of darkness if we ever were to ask it of ’em), feel free to suggest your own topic down in the comments section. EVAN: And, as usual, thanks for reading.